Skin tightening on face, neck, abdomen and hands using Titan™ technology by Cutera. 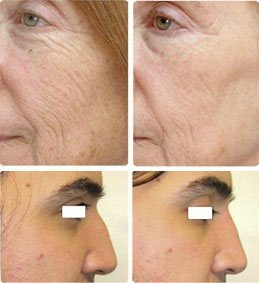 Three Dimensional Skin Rejuvenation using XEO laser. Laser Genesis for skin texture improvement by means of pore reduction, improvement of acne scars, fine lines and wrinkles. Photo Genesis for skin tone improvement, reduction and elimination of sun spots, age spots, unwanted freckles, reduction of facial redness (rosacea). Laser treatment of cherry spots and venous lakes. Laser treatment of warts and skin tags. keloids, molluscum contagiosum, warts etc.